Published: April 8, 2013 at 01:26 p.m. 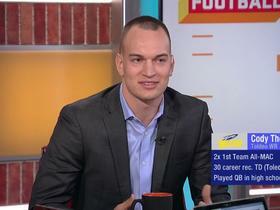 Updated: April 21, 2013 at 02:42 p.m.
As we close in on the 2013 NFL Draft (April 25-27 at Radio City Music Hall in New York City), our analysts preview each team's biggest needs. » Buffalo Bills: Is WR a bigger need than QB? » Miami Dolphins: Major splash might be coming. » New England Patriots: Markus Wheaton could make sense. » New York Jets: Facing a long list of issues. » Baltimore Ravens: Ozzie Newsome will work his magic. » Cincinnati Bengals: Tavon Austin might be missing spark. 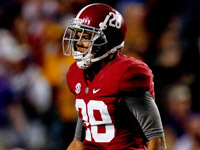 » Cleveland Browns: Dee Milliner would make D scary. » Pittsburgh Steelers: Pressure is on to get this draft right. » Houston Texans: Targeting a playmaker. » Indianapolis Colts: Defense could use a hand (or two). 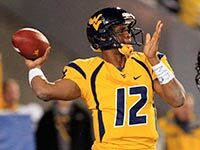 » Jacksonville Jaguars: Draft Geno Smith or wait on QB? 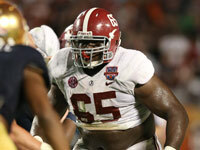 » Tennessee Titans: Ground game could use Chance Warmack. 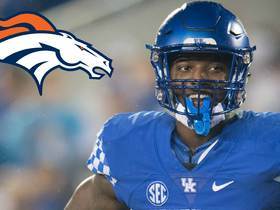 » Denver Broncos: John Elway knows how much an RB can help. 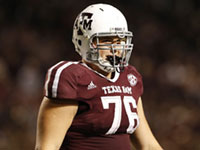 » Kansas City Chiefs: Luke Joeckel at No. 1? Safe -- and smart. » Oakland Raiders: Sharrif Floyd makes sense. » San Diego Chargers: Protecting Philip Rivers is prime objective. » Dallas Cowboys: Kenny Vaccaro ... come on down! » New York Giants: Hit linebacker high -- and maybe twice. » Philadelphia Eagles: Geno Smith just one of many possibilities. » Washington Redskins: Boosting secondary is key. » Chicago Bears: Manti Te'o is the perfect fit. » Detroit Lions: Ziggy Ansah to don Honolulu blue? » Green Bay Packers: Aaron Rodgers can't do it all. » Minnesota Vikings: After stockpiling picks, options abound. » Atlanta Falcons: Jamar Taylor slots in nicely at corner. » Carolina Panthers: More problems than one draft can solve. » New Orleans Saints: Defense can't get much worse. » Tampa Bay Buccaneers: Darrelle Revis will dictate offseason. » Arizona Cardinals: Must upgrade OT to protect Carson Palmer. » San Francisco 49ers: Dashon Goldson's exit leaves hole at safety. » Seattle Seahawks: Loaded roster could use depth in certain spots. » St. Louis Rams: Is Tavon Austin the weapon this team's dying for?